JBS provides a free Jewish educational and cultural television network. among both involved and unengaged Jews, as well as interested non-Jews. 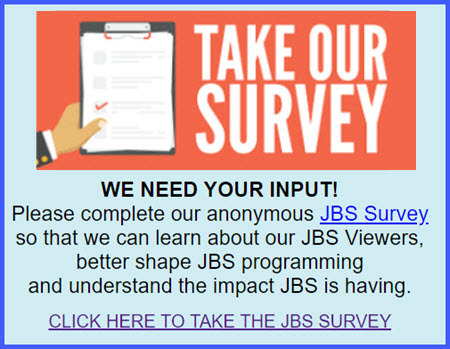 JBS, the Jewish Broadcasting Service, is America’s Jewish non-profit television network covering the panorama of Jewish life. JBS is directed to every Jewish person with a sense of Jewish identity, and for members of the Jewish community seeking their roots. Televised offerings are also for anyone with a passion for learning and a desire to gain a greater understanding of Jewish tradition, Jewish life, and the land of Israel.